With over 100 million registered users worldwide, Moodle is the leading learning management system (LMS). Used by schools, universities, not for profit and public sector organisations, Moodle is a powerful, flexible and robust open source LMS that help them deliver their online courses with ease and attain their learning and training objectives.  Enovation are one of the longest standing Official Moodle Partners and have one of the largest Moodle teams in the world. We fully managed the hosting of your Moodle platform. We offer a number of value added features to Moodle to help you explore all the potential of your LMS.